Dr. Paul Murray is an award winning author, and nationally recognized leader who was featured on the cover of the nationally published B.O.S.S. Magazine. He is an internationally sought after speaker and preacher at leadership conferences, conventions, convocations, global symposiums sponsored by Christian organizations, NGO’s, Government entities, and at special services held by local churches. Seen on TBN, Daystar, CTN in the U.S.A, and Rede Globo in Brazil, Dr. Murray’s highlights include speaking for special convening’s at the United Nations in New York, NY, and Nairobi, Kenya, presenter and speaker at global leadership conferences in North and South America, Africa, and Asia; ministering and teaching at national convocations and mega-churches throughout Brazil; and being a special guest speaker for the “Celebrate America” in the nation’s Capital, Constitution Hall on the 4th of July. Dr. Paul Murray is an ordained minister serving in ministry for more than twenty years. He is the Senior Pastor of the Lighthouse Church and holds his ministerial credentials with with One Way Churches International (OWCI). He was consecrated and elevated to the office of Bishop and serves on the College of Bishops and serves on the Executive Board of OWCI. Previously, Dr. Murray held a leadership position within the ALJC where he was a member of the General Board. 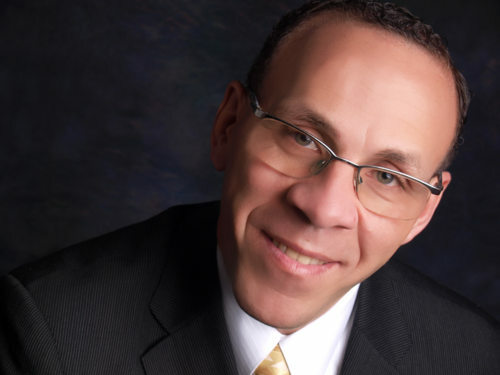 He served for 6 years as the District Superintendent of the New York / Mid-Atlantic Region, which oversees ministers and churches in New York, Pennsylvania, Maryland, New Jersey, Delaware and the District of Columbia. He has established six church works under his own ministry and they are located in Maryland, Pennsylvania, New Hampshire, Georgia, and internationally in Nairobi, Kenya and Oslo, Norway. In his passion to help others through their dark days of failure, Dr. Murray speaks at ministry conferences around the world. In addition, as an advocate for moral and innovative leadership, Dr. Murray serves as the National Co-Chairman and Executive Director of the Coalition for American Renewal; a nationwide network comprised of leaders of faith who have partnered together to reawaken the founding values and principles that made America great. A former Peace Corps Volunteer to the country of Tunisia, Dr. Murray has built upon his years of community service and volunteerism and infused his work ethic into his strong Christian faith to exemplify the qualities of Servant Leadership. 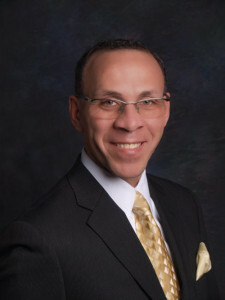 He holds his Doctoral Degree in Pastoral Leadership and Management from Howard University’s School of Divinity, a Master of Divinity in Pastoral Counseling and a Master of Art in Religion from Liberty Baptist Theological Seminary, and an undergraduate degree from the University of Phoenix where he was awarded a Bachelor of Science in Health Care Services. Dr. Murray and his wife Rachel are the proud parents of two daughters and one son who each are growing into true servant leaders in their own rights.